If you like writing traditional poetry — you know, the kind that rhymes — here’s a list of five words you might want to avoid at the ends of your lines. What I find interesting about this list (found at Reference.com) is that all the words are the common, everyday kind. This one’s no surprise, right? 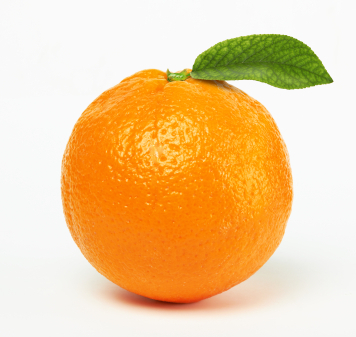 We’ve all heard that there’s no word in English that precisely rhymes with orange. If you combine two words, you can come close: door hinge, store binge, more singe. But try finding a way to work those into a poem! Update: According to the Oxford English Dictionary (the Big Daddy of all dictionaries), there is one word listed in its twenty volumes that rhymes with orange. The word is sporange and it is a “very rare alternative form of sporangium (a botanical term for a part of a fern or similar plant).” So, there you go. Myth dispelled. Just kidding. I don’t count a variant of an obscure term in a scientific field. Orange stays on the list. Hi-ho, I didn’t know that nothing rhymes with silver. You can get pretty close with the name Wilbur. But a literal rhyme means all the sounds are identical other than the initial consonant. B sounds similar to V, but it’s just enough off to disqualify it as a formal rhyme. It’s so common I’d never noticed what a funny word this is to say. It’s so funny, in fact, that nobody has created a word similar enough to rhyme. Lots of words rhyme with angle, the all-too-common misspelling. But angel has none. This surprises me because, unlike bulb, angel is a nice-sounding word. Or maybe I just think that because I like the meaning. No, it’s just nice. Someone should invent a word that rhymes with it. It’s a good poem word. How is it possible that I’ve never noticed that this word is rhymeless? I probably say it at least once a day. When you think about it, it’s kind of an ugly word, isn’t it? Reference.com also notes that none of the three spatial measuring words — width, breadth, and depth — have rhymes. Must be something about words that end in a consonant followed by –th — like month. Do you know other common words that don’t rhyme? Please list them. And add any comments too. I like talking about this stuff. If I Have My Cake, Why Can’t I Eat It? orange doesn’t rhyme with anything? Does porridge not rhyme with orange? Door hinge rhymes with orange. But Orange rhymes with Arrange right? chilver (a ewe lamb). That ryhmes with silver, right? i hear its hard to rhyme music with anything correct. As you’ve defined ‘rhyme’ there are no words that work. However a consensus definition seems to be words with a similar ending sound. That said, my family and I came up with porridge, pilfer, mulled, vigil, and oomph. You fiercely guard this list, I’m curious your thoughts. I don’t fiercely guard the list, El Dogg. I just try to interact with people who have comments. I define “rhyme” the way just about everybody does–certainly the way all teachers of poetry do. I find it helpful to differentiate between strict or exact rhyme: (time/lime/rhyme, wonder/blunder) and near or slant rhyme (babble/haggle, flame/pain). Poets and song writers often use both exact and near rhyme. I have no problem with it, but some words rhyme more perfectly than others. The words above have no perfect rhymes (other than a couple terribly obscure words or proper names). What your family has come up with is a clever list of slant rhymes. Well done. We’re just a bunch of problem solving Jamaican Scrabble nerds. We humbly accept your consolation prize. No offense taken. Thanks for joining the discussion here. I began an inquiry because of the word burden. If it has a rhyming word U cannot think of it. At least I have food for thought. Over the last 18 months I have composed and backed up on my computer a total of 237 limericks. Not bad for a man 90 years of age..
You are right; I can’t think of a word that rhymes perfectly “burden.” Congratulations on your limerick collection, sir! with the word breadth, the d and h are not pronounced, so the word sounds like brett.. mant words rhyme with brett..
Actually, there is something else that rhymes with Orange. There is a hill in Wales, called Florenge. chaos, beige, circle, else, film, gulf, music, toilet, width, woman, animal, citizen, dangerous, obvious etc………. Orange rhymes with Blorenge which is a hill in Wales. Silver rhymes with Chilver and month rhymes with oneth, so you can take those off the list. No, I think I’ll leave the list as it is. Eminem can rhyme every word from here. In a way angel could rhyme with dangle. If you read it Lily it said lots of things rhyme with angle. Silver rhymes with chilver, a female lamb, and orange rhymes with Blorange, a hill in Wales. Get wrecked. Actually — it’d be nice if you read the actual article before posting a correction. Blorenge rhymes with orange. Silver rhymes with hilver. Two others people mistake are purple, which rhymes with hirple, and circle, which rhympes with hurkle. The words you mention, JaQrispi, are either made-up or too obscure to be considered in common usage. In other words, they don’t count. Eminem rhymed orange with somethings on 60 minutes. have you tried http://www.prime-rhyme.com, it’s a rhyming dictionary and i can find rhymes for some of the words you mentioned. Silver does have 2 words that rhyme with it. “Wilver” is one (a nickname) and another is “Chilver” (a ewe lamb). Orange has another word that rhymes with it as well besides “Sporange”. That word is “Blorenge” (a mountain in Wales). BTW, I just decided to nickname my children Skulb, Paynjel, and Dunth. Now all the words have rhymes! Sporange – A single-celled or many-celled structure in which spores are produced, as in fungi, algae, mosses, and ferns. Sorry about the editing to your comment, Tom. I try to keep this blog family friendly. Thanks for having my back though. No problem, I rarely swear, but at the time I felt it embodied my satirical point of the knee jerk reactionary type of mindset people seem to possess. Nice. I guess I need a longer post! Hi I’m Olivia some people call me Liv. What if I asked someone a question like hey is that a grape and they responded with nah Liv that’s an olive. Then you shouldn’t eat it! I think that’s another one, Casey. Weird how many color words don’t have rhymes. And it is because of these words that we have Dr. Seuss! Because he just made up words that rhyme? Month. Oneth. You know, like oneth or twithe. Edward Lear could do it! Leave a Reply to I made this account to reply to someone Click here to cancel reply.